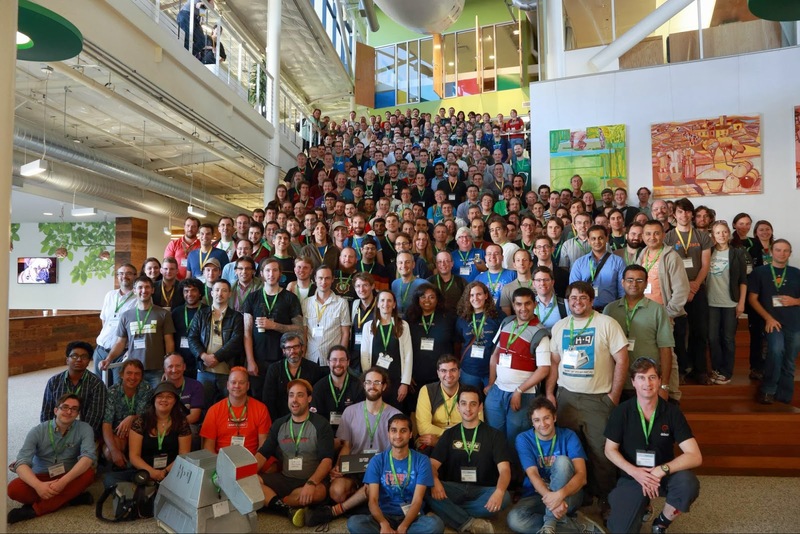 We are excited to have a guest post from Remy DeCausemaker highlighting his first Google Summer of Code Mentor Summit. Enjoy. The first photograph was taken by Matthew Dillon. All other photos taken by Thomas Bonte, CC-BY. Over 280 attendees representing 177 mentoring organizations gathered for a two-day, code-munity extravaganza celebrating the conclusion of Google Summer of Code with the annual Mentor Summit held at Google in Mountain View, California. Mentors and admins began arriving on Friday night, and walking about you could catch bits of conversation, spoken in a plethora of languages and accents, spanning from pixels to bits. 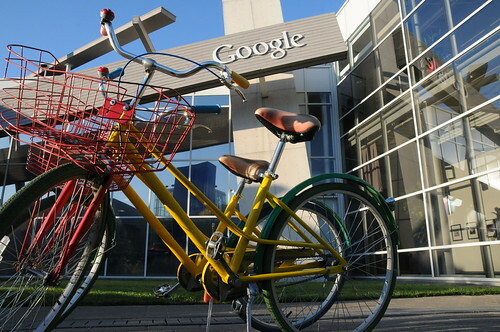 No less than four trips of double-decker bus loads, from two different hotels, shuttled everyone into the Googleplex. The morning began with a hearty breakfast, and coffee from Google's expert Baristas. With trays piled high with eggs, bacon, muffins, and other breakfast-y goodness, mentors took their seats in the massive company cafeteria. Under a quartet of stage lights in that familiar Google colored glow, Google Summer of Code lead Carol Smith stepped up to the microphone, and welcomed the crowd. You are here because it did. Thank you for being there for Open Source Software. Thank you for being there for Free Software, and for being there for Google. Open source matters to us. The future of Open Source matters to us. This room--and the people you bring in--without you, it wouldn't be as wonderful in 5-10 years as it is today." Prior to the summit unconference, attendees had a chance to suggest and vote on session topics using Google Moderator. Sessions were assigned to rooms of a size proportionate to their level of interest. Ample space was also provided for sessions that were proposed on-the-spot, often inspired by discussions from previous sessions. The first "session" of the unconference took the entire GSoC audience, split it down the middle, and formed two long lines for a full morning of meet-and-greet handshaking. This provided attendees with an opportunity to meet each other, and have conversations they may not have had otherwise during the busy summit. Behold, the annual cocoa cornucopia! 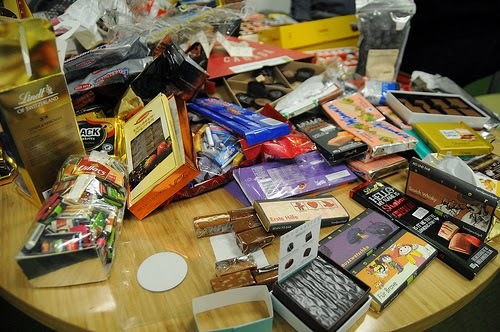 Mentors from around the world packed plenty of sweet treats to share with their fellow hackers. Milk chocolate, dark chocolate, bacon chocolate, and yes, even fish chocolate. In the Open Source Community, ad hoc collaborative teams are an everyday occurrence. 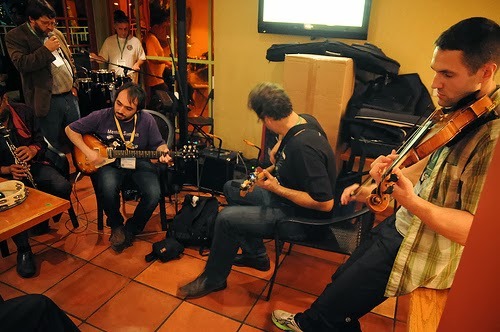 But to see it happen outside of a source code repository, with a full drum set, five kinds of stringed instruments, a keyboard, and even an oboe... that is something you don't see everyday. Shout out to Saturday night's Emcee, host, and bringer of instruments, Googler Marty Conner, who got the GSoC band back together for 2013. Over the course of the summit, Googlers would freshen the tables of swag at the front of the cafeteria. Tshirts, banners, stickers, and even GSoC Socks! But Google wasn't the only team with a horse in the swag race. 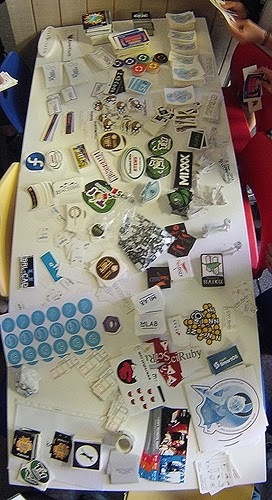 Mentors brought stacks of stickers from dozens of projects to participate in the annual sticker swap. During the lunch hour each day, Stephanie Taylor and Mary Radomile of Google's Open Source Programs Office gave attendees guided tours of the Googleplex campus. 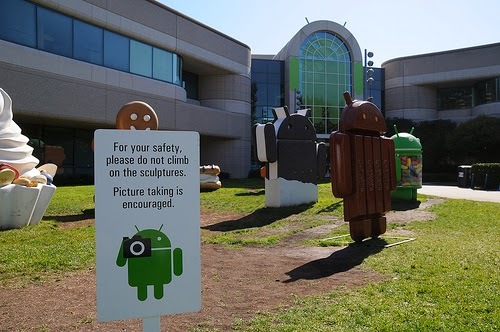 With each new release of Google's Android operating system, comes a new codename, and a new statue in the Sculpture Garden. Note the new KitKat Android on the right side of the photo. 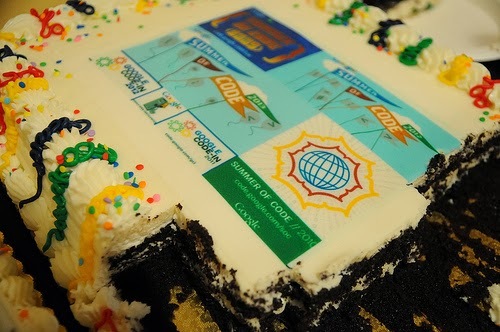 Thanks to Joel Sherrill with RTEMS, who supplied the templates for the giant Google Summer of Code birthday cakes, celebrating nine consecutive years of FOSS community engagement with the logos for each year of the program on two tasty cakes. Based on feedback from last year's summit, the organizers agreed to put together a whole track of "Google" talks, given by current employees about a variety of projects, initiatives, and technologies. One of the more popular sessions was led by Wesley Chun, Developer Advocate with the Google Cloud Team. Chun talked about the Google Cloud Platform, its variety of services, and special discounts and support provided by Google to FOSS projects. As a first-time Google Summer of Code Mentor attending my first summit, I cannot even begin to recount all of the amazing things that occurred over the course of the weekend. If you clicked on the link at the top of this article for the 177 mentoring organizations represented at the summit, you can begin to imagine the sheer magnitude of talent, passion, and dedication that gathered in Mountain View. As a storyteller, I accumulated thousands of words worth of notes from all the sessions I attended, which sadly, I cannot possibly share with all of you readers in a single post, so we're going to have to do a "highlight reel." When else do you see core developers from Gentoo, Debian, Fedora, NetBSD, FreeBSD, DragonFlyBSD, and others, all politicking in one place? Tales of developer incentivization were shared by projects such as Joomla, Battle For Wesnoth, and the Fedora Community. HFOSS.org founders and members, met with representatives from other projects such as OpenMRS, Sigmah, PostgreSQL, The Sahana Software Foundation, The Tsunami Information Project, Mifos, NetBSD, SugarLabs, BRL-CAD, and a handful of others, to discuss our role as hackers to improve the conditions of our planet, and our species. Led by Karen Sandler, Executive Director of the Gnome Foundation, who introduced the OPW, and discussed ways to bring more diversity to your FOSS project. YOU too can join the excitement! 8 October, 2013 GSoC Program announced. 3 February, 2014 Mentoring organizations can begin submitting applications to Google. 14 February, 2014 Mentoring organization application deadline. 10 March, 2014 Student application period opens. 21 March, 2014 Student application deadline. Be sure to keep an eye on the GSoC 2014 Program Timeline for updates and meetups to be announced in your region. Though this was my first Google Summer of Code, I sure don't intend for it to be my last. I cannot recommend the program highly enough. Next year your chances of acceptance (and pay check) will be better than ever. The benefits for mentors, the students, and the FOSS community at large should be abundantly clear. Happy hacking, and I hope to see you all next year!